While California certainly isn’t known for drawn out, frigid winters, those visitors that think it is warm here all year long are in for a big surprise when they visit during the winter season. It gets plenty cold around here, and you’ll feel that cold full-force if you fail to work with a qualified HVAC contractor in Fresno, CA. Reading this means that you’re well on your way to a warm and cozy season, at least. For today’s post, however, we are not just going to remind you of how important it is to have your system expertly installed by a qualified professional. We are also going to focus on how you yourself can help to keep your heater in the best working condition possible. There are a few simple ways in which you can keep your heater working as efficiently and reliably as possible, and that is exactly the level of quality that you deserve. This one goes out to all of those homeowners using forced air heating systems to keep their living spaces warm when temperatures drop. If you use a furnace or a heat pump, then you need to keep a fresh air filter in that system. It may not sound like that big of a deal, but a dirty filter can actually negatively affect your heating system in a number of different ways. 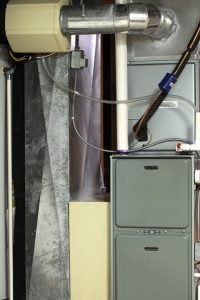 A dirty filter is going to restrict airflow throughout your system. That means that your heater will have to work harder to distribute heat throughout your home, and that means that it is going to use more energy in doing so. This drives up energy costs, and the added strain on the system can actually increase the risk of operational problems, as well. One of the biggest causes of system damages is a delayed response to problems on the homeowner’s part. We have some truly great heating technicians on our team. Even they are not going to be able to fix your system, though, if you don’t let us know that there is a problem to begin with! Never convince yourself that a problem is too “minor” to concern yourself with. Any abnormalities like strange new sounds, short cycling, or cool air coming from vents are cause for concern. The fact that your system is technically running does not mean that it is running right. If you are serious about protecting your system and getting the best performance that it has to offer, then prompt heating repairs are always going to be in your best interest. There is simply nothing better that you can do for your heater than picking up the phone and scheduling an annual tune-up with our team. We even offer residential and commercial maintenance plans to make the proper upkeep of your system more affordable and simple than ever before. With our technicians on your side, you’ll be able to enjoy a truly great heating performance. Schedule your heating services with California Indoor Comfort Inc. Where comfort and technology come together. Is a Furnace the Right Heater? For Me?